Rishna was a six-month old baby when her parents, along with her and her two elder brothers, fled war-torn Jaffna in Sri Lanka and reached the shores of Dhanushkodi in Tamil Nadu in 1990. Her father who immediately returned to Sri Lanka to bring other relatives of his to Tamil Nadu was shot dead by the Sri Lankan Navy. Her mother, a young widow then, took multiple jobs, and brought up the young children. She also managed to send the three children to school regularly. 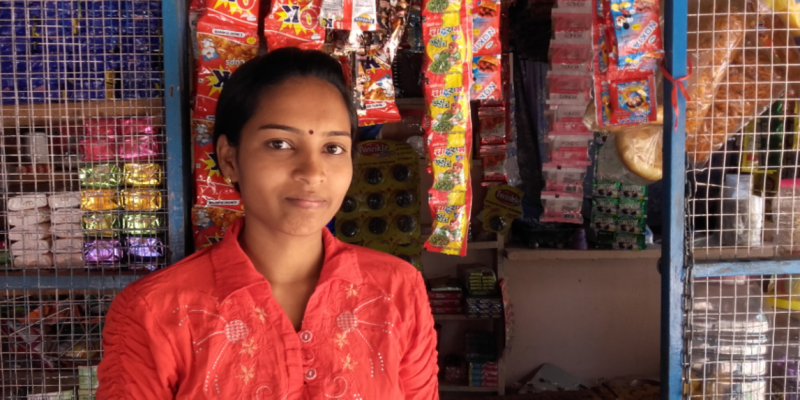 Aided by the Complementary Education program provided by JRS at the refugee camp in Pooluvapatti, in Coimbatore District, Rishna completed her higher secondary education in the government-run school. After that, she completed the six-month course of the Life Skills Education (LSE) program provided by JRS at Dharapuram, and acquired new skills, such as tailoring, knitting, embroidery and other crafts. She says that LSE gave her a lot of good memories, too. Rishna recounts many interesting experiences at the LSE center: her fascination for the little white dress that her teacher made for Infant Jesus during the Christmas of 2007, the teachers’ competence as well as kindness, the fellowship and cordiality that existed among the trainees, their picnic to Kodaikanal, and the fellow trainees’ appreciation for her dancing skills. She gratefully remembers the support and encouragement she received from Sr Helen, a JRS-team member. Later, her interest in becoming a beautician drove her to attend a six-month training after which she completed one-year apprenticeship at Avinacilingam. In 2009, she got married to Mr Mano Raj. Her marriage brought Rishna to Okkur camp. Her husband, a painter, encouraged her to spend her time pursuing her passions. She put her skills to use and earned an income by stitching dresses, making sweaters and greetings cards, and other crafts, in addition to lending her service as a beautician periodically. Today, with her new skills and new sources of income, she helps cover some of the household expenses for her family. Rishna’s work gives her a sense of independence and allows her to further develop her passion.